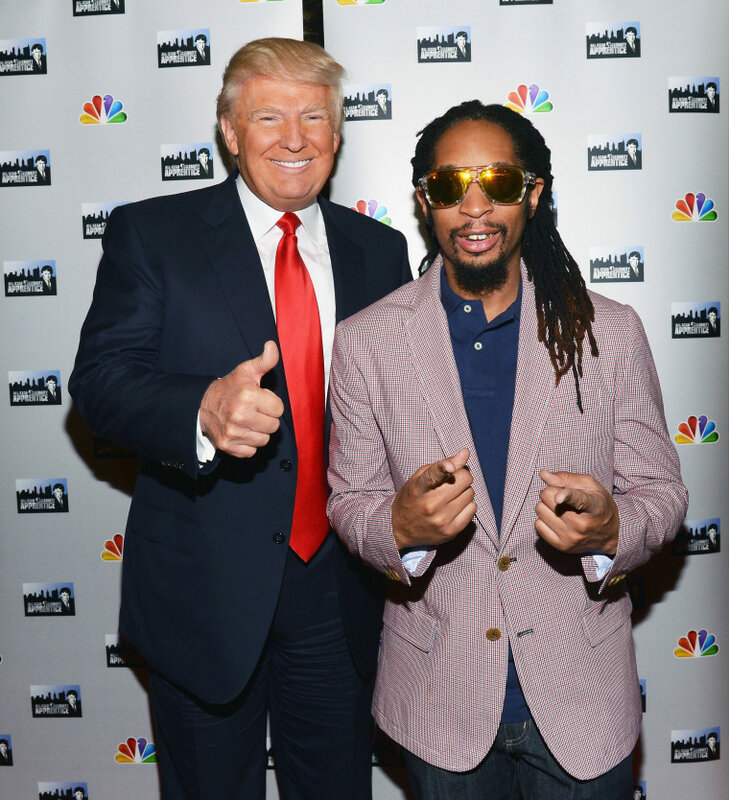 During filming for the 13th season of the Apprentice, Republican nominee Donald Trump referred to rapper and contestant Lil Jon as "Uncle Tom" repeatedly, apparently unable to grasp why the racially-loaded term was offensive. During one challenge All-Star Celebrity Apprentice, Lil Jon decided to purchase a patriotic Uncle Sam costume to promote hair-care products. Once Trump saw Lil Jon's outfit, he began to refer to Lil Jon as “Uncle Tom” instead of Uncle Sam. According to anonymous sources from The Daily Beast, Trump called Lil Jon "Uncle Tom" repeatedly, "utterly tone-deaf to the racially charged history of the term, which is used to deride a black man deemed to be subservient to white people." After many attempts from staffers to explain to Trump he should refrain from saying the racial slur, it seemed as though he couldn't wrap his head around the concept. In response to the reports, Lil Jon posted his own formal statement on Twitter. Although the rapper reports that Donald Trump stopped saying the slur, he also clarifies that his views do not align with the candidiate's. "I can't say if he knew what he was actually saying or not, but he did stop using that term once we explained [its] offensiveness," Lil Jon writes. "I also want to be clear that I don't agree with many of the statements Mr. Trump has said during his current run for President." Back in 2011, President Barack Obama poked fun at Donald Trump's Apprentice show during his speech at the White House Correspondents' Dinner. After making several jokes about Donald Trump making a stink over Obama's birth certificate, Obama brought up the premise of that week's Apprentice episode, which involved a cooking challenge. "You, Mr. Trump, recognized that the real problem was a lack of leadership. So ultimately, you didn't blame Lil Jon or Meatloaf, you fired Gary Busey. And these are the kind of decisions that would keep me up at night." Tune in around the 4-minute mark to listen to the full roast. Read 43 artists's perspectives on why Donald Trump is bad for America.